WASHINGTON (AP) - Is your hound round? Too much flab on your Lab? Is your husky, well, husky? A new drug may provide some help. 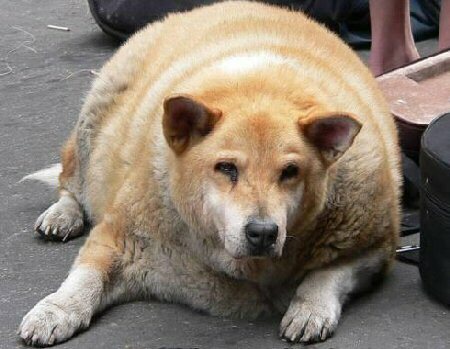 The government approved the first drug for obese canines on Friday. Called Slentrol, the Pfizer Inc. drug is aimed at helping fat Fidos shed extra pounds. "This is a welcome addition to animal therapies, because dog obesity appears to be increasing," said Stephen Sundlof, director of the Center for Veterinary Medicine at the Food and Drug Administration. A dog that weighs 20 percent more than its ideal weight is considered obese. That takes in about 5 percent of the nearly 62 million dogs in the United States. An additional 20 percent to 30 percent are considered overweight. The liquid drug appears to reduce the amount of fat a dog can absorb. It also seems to trigger a feeling of satiety or fullness, according to the FDA. The prescription drug also can produce some unfortunate side effects, including loose stools, diarrhea, vomiting, lethargy and loss of appetite. And it's not for dog owners. The FDA discourages the drug's use in humans and lists a litany of side effects should anyone ignore that advice. Nor is Slentrol, also called dirlotapide, for use in cats. In general, dogs need a far fattier diet than humans do to thrive. Fat is an essential source of calories for dogs and is necessary for growth, development, reproduction and healthy skin, according to the American Veterinary Medical Association. Like all diet drugs, Slentrol is meant to be part of an overall weight management program that includes a complete and balanced diet and exercise, according to its label. Slentrol is not a cure for obesity; its effects cease within a day or two of stopping treatment. The letter, with a 3-cent stamp and postmarked Oct. 26, 1954, was encased in a large Postal Service window envelope. There is a return address — in nearby Richland Township — but no sender's name. Brian McAteer said that the letter appears to be sealed and has not been damaged, and that he will not open it. However, he hasn't had any luck finding Yost. Among his efforts have been to contact Yosts in the area, speak with longtime residents and search on the Internet. "I haven't given up trying to find him," McAteer, a road foreman, told the Tribune-Democrat of Johnstown. The newspaper reported that its archives show Yost's parents, both of whom are dead, lived in Ferndale in 1954. His father was a sports editor at the newspaper, which reported that the younger Yost had moved to Florida. 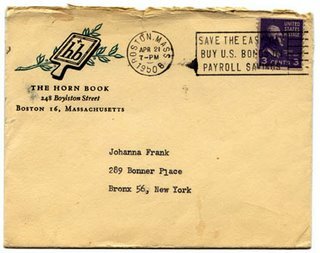 Tad Kelley, a spokesman for the Postal Service in Pittsburgh, said he could not comment specifically on the letter without investigating. "Sometimes pieces of mail do get lost behind equipment or transporting equipment. ... It is infrequent, but every once in a blue moon, it does happen," Kelley said. "No matter how old it is, we will deliver it." Ferndale is about 65 miles southeast of Pittsburgh.